Enzymes are protein-biological catalysts that speed up chemical reactions in living organisms. Enzymes are fundamental to all biological processes. Typically enzymes bind a substrate in a well confined binding pocket which stabilizes the intermediate state that the substrate has to assume during its conversion into the product of the enzymatic reaction. Enzymes come in all shapes and forms and catalyze all biological processes, including protein synthesis and degradation, metabolic reactions, DNA synthesis and degradation, etc. Enzymes are prime drug targets in the pharmaceutical industry, because enzymes are frequently overactive and are relatively easy targets for small molecule inhibitor discovery. LysoMET is a highly purified preparation of lysozyme, a natural anti-microbial enzyme extracted from chicken egg white. 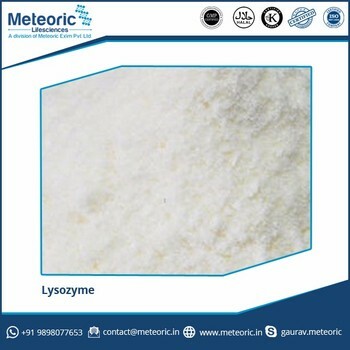 LysoMet is recognized for its inhibitory effects against certain bacteria making it particularly important for immune-compromised human that need to boost their resistance to common bacteria. Acting as an anti-microbial agent, LysoMET effectively ruptures certain gram positive bacteria cell walls. This enzyme plays a key role in the human immune system, making it a natural and safe choice for use in feed, food, as well as in many pharmaceutical applications. Meteoric Life sciences is an integrated and well diversified company, incorporated to pursue an ambitious goal of introducing specialized biopharmaceutical products & biotech solutions to meet the needs of a quality conscious market. Meteoric Life sciences excels in manufacturing and marketing of Enzymes & Enzymatic Preparations, Pre & Probiotics, Feed supplements & Additives, Nutraceuticals and Animal healthcare products for wide range of industries. “The world is our market”, says the Managing Director. 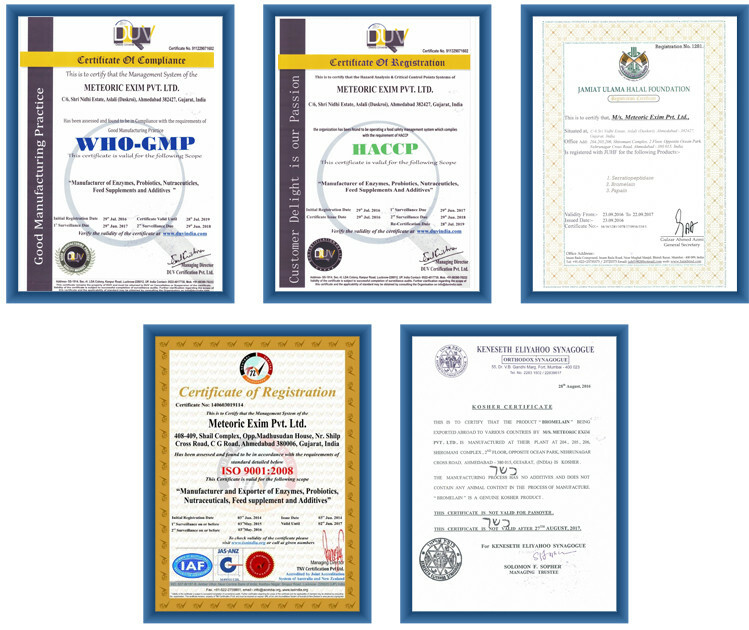 Truly living up to his word, Meteoric Life sciences has extended their wings in various countries across Asia, Europe, North America, South America and Australia. In addition, it also holds a strong presence in the growing domestic Indian market. As is often the case, entry to certain markets can be a costly and time-consuming process and often leads to second and third tier markets never reaching full potential. However, Meteoric Life sciences has both the market intelligence and the technical expertise to maximize sales in the international market place. Meteoric Life sciences has been ensuring that its products should remain within the reach of masses, therefore, its pricing policies has been to provide high quality drugs at an affordable price. The quest for excellence would never cease and Meteoric Life sciences looks forward to strongly support the global challenge of achieving.